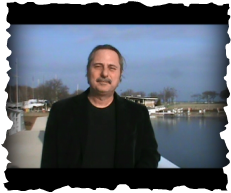 Born On St. Michael's Day September 29th, 1959 - Jeffrey Seelman is an Internationally Recognized Professional Psychic, Teacher, Author, Clearing Expert, and Exorcist, specializing in the clearing of individuals, homes, businesses, and psychic protection. Jeffrey is also an expert on hauntings in homes and businesses, psychic ability, good ghosts such as spirit guides, curses, demonic possession, evil spirits, and the relationship between emotional energies and violence. Born with psychic abilities, a practitioner of Transcendental Meditation, Jeffrey uses his psychic skills to release negative emotional energies, banish negative and demonic spirits from individuals, homes, and businesses, dispel myths about the spirit world, and teach us how to protect ourselves and our property from the effects of negative emotional energy, negative and demonic spirits. Jeffrey has appeared on the E! Entertainment Television Documentary “13 Most Shocking Hollywood Curses”. He has been a guest 3 times on “Coast to Coast with George Noory”, has been written about in Russia's “Pravda Online”, (his interview became the number one read article in Pravda, June 3-10, 2007), appeared on Sy-Fy Channel’s “Sightings”, where he successfully performed an exorcism on a home for the television cameras, as well as many other television and radio appearances since 1992. Currently, Jeffrey has just finished his new book entitled: POWER PROTECTION. Jeffrey lives in Las Vegas Nevada.